Platform and poufs in different dimensions. The series Float also includes an easy chair, a sofa and a chaise longue. Padding: polystyrene spheres encased in a polyester covering. Upholstery: removable cover in the fabrics Light, Rope M, Aquatech, Brio, Thea or Aero. The platform and the poufs codes B27C and B27D can be completed with a backrest positioned as desired. The backrest is made of polyurethane foam and is provided with ballast (the backrest belongs to the series Orlando). Composition: 100% polyester This fabric is permeable to air and water and combines comfort with fast drying times. Light is a Paola Lenti's signature fabric. 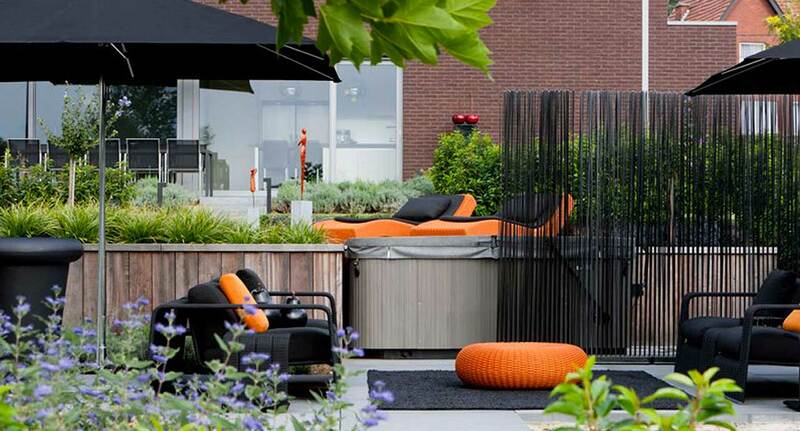 Outdoor design by Jeroen Martens. Courtesy Mira Verde - Belgium.